I have no wish to add to the commentary on the disaster in Nepal caused by a major earthquake yesterday, and followed by numerous aftershocks and at least two other significant quakes of well over 6 magnitude on the Richter Scale. There is a wealth of information, distressing and tragic images and news updates as casualty figures rise. It is an overwhelming tragedy and the coming days critical as a picture emerges of the extent of the situation, including the remoter areas nearer the epicentre. Information is aplenty and I do not plan to add to it. My words are about how deeply personal this tragedy is, and that is for me at a distance, physically removed from the situation. However, I am strongly connected having lived in Nepal for approaching six years. Nepal, and especially Kathmandu hold a very precious place in my heart. I am struggling to process this. This earthquake is not unexpected. We have long known that a major earthquake is due, or even overdue. Nepal sits on a highly seismic line, which give us the spectacular Himalayas as a result of the tectonic plates shifting through history. We have long feared an earthquake of this scale but we have always hoped that it would not happen. When I first arrived in Kathmandu in July 2000, fresh off an overnight flight from Scotland, to take up a new job in a country I had never been to, I was spellbound by the city. But even in my first few days, I started hearing about “the earthquake”. I quickly learned that Nepal is highly vulnerable, and that Kathmandu particularly was in a highly precarious position. The population density, fragility of many buildings and concentrated construction on top of a ground which used to be the floor of a lake and now prone to liquefaction all being factors which would intensify the impact of an earthquake. I soon became very aware of earthquake risk, but did not know what to do in the event of a tremor. I did not have to wait long before I was pushed into action. The deep Gujurat earthquake in January 2001 caused swaying of buildings and dizziness in beings even as far as Nepal. Not long after, in July we had a rattling 5.9 earthquake while I was lying in my bed dozing off one Monday night. As the shaking intensified, I realised I had no clue what to do and I was lying there thinking”what-do-I-do-I-need-to-shelter-in-a-doorway-or-is-it-under-the-bed-or-should-I-run-outside?” when I realised that the shaking had stopped. Nothing had been damaged, but there were shouts of “bhuichalo” (earthquake in Nepali) outside, dogs were frantic, people gathering outside and I settled on my rooftop balcony feeling safer on top of a building than in it, and unwilling go to back to bed in case a bigger one came. That night there was no further seismic action, nor was there much sleep. My paralysis when the earthquake started galvanised me to learn more and without doubt prepared me for future earthquake experiences, and in particular the 2004 quake which caused the massive tsunami. 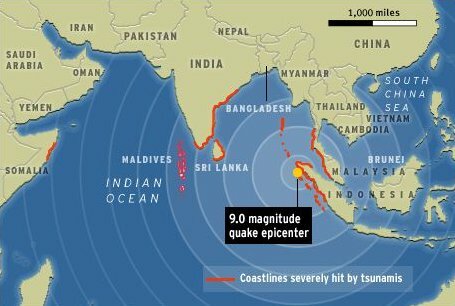 We were in Port Blair in the Andaman Islands on that day and returned to Kathmandu a few days later, with an intensified dread of the anticipated “big one” which we knew was already overdue. There have been a number of deadly quakes in Nepal in recent decades, but the last massive one was in 1934 measuring 8.4. Seismology experts have calculated that a quake above 7 on the Richter scale is likely every 60 – 80 years. Hence the sense that a “big one” was overdue or imminent. Returning from a major earthquake, into a vulnerable area caused incredible stress. This was not an irrational fear, but a very real likelihood. We just had no idea when it might happen. We developed a plan of action for when such an earthquake came including a rendez vous point and communication back up. One particular friend and I worked through which supplies to hold, and which necessities to stock and a plan of action. When she visited me in Yangon, she told me how that had now become a plan which she had jointly developed with a small number of friends in Kathmandu. They would join forces, each with different supplies if needed. We left Nepal in November 2005, and a major reason was the vulnerability to earthquake. We had moved house to a safer place, but still felt that the risk was high and when the opportunity arose for work in Mongolia this was welcome. But I am still highly aware, and have written of earthquakes and mentioned more than once, that one of the reasons we are so taken with our home here is because it is small and likely to be safer in the event of a quake. I was in a car heading home yesterday lunchtime, when hubby phoned and broke the news of the earthquake. As soon as I got home, I spent most of my time checking up online, seeking news of family and friends in the affected area. Having lived there for so long, and with family across the whole affected region, it was an overwhelming task trying to seek reassurance about so many people. There were so many updates from friends, family and former colleagues all over the world, desperately looking for information and sharing any updates they found. Thank heavens for social media. Although phone lines were mostly down, internet was more functional and soon messages came through from those who were safe and knew of others on Twitter and Facebook. In no time, #nepal and #earthquake were trending on Twitter. This morning we continued to receive news that loved ones are mostly unhurt. After the initial relief, we realise that many are homeless. Most spent the night outside, either under tents or on the roadside either because homes are destroyed or unsafe, or due to fear because of the aftershocks. A great deal has been done in terms of preparedness in recent years, but the geography of the Kathmandu valley and population density are fundamental features which intensify the impact of the earthquake. Hospital patients are being treated outside as there is no more space inside. Water and food will urgently become limited. One piece of welcome information was that although Kathmandu airport was closed to regular traffic, it was still able to function and late last night the first relief supplies arrived from India. The national and international communities have mobilised and a humanitarian effort underway with emergency coordination mechanisms already activated. A State of Emergency has been declared. However, we still do not know the scale of the situation. The coming days are indeed critical, particularly given the strength and number of aftershocks on the weakened and fragile structures. Gradually we are learning more, and each new piece of information cuts deeper. While I am protected from the immediacy of this catastrophe being at a distance, I cannot say that I am not affected. This post is a personal, selfish catharsis from an individual trying to process and deal with the scale of this disaster. It is deeply personal. We are holding the people of this Himalayan region close in our hearts at this time and holding out hope for a rapid, effective response reaching and treating casualties quickly and for a strong recovery. Today is our wedding anniversary. It is without doubt a time to reflect and give thanks for a great deal. There are a number of Big Things which have happened in my life which have stayed with me and shaped who I am. Events or experiences which I have not been able easily to lay to rest, and ones which play a prominent role in my conscious. Breast cancer is obviously one of those things. 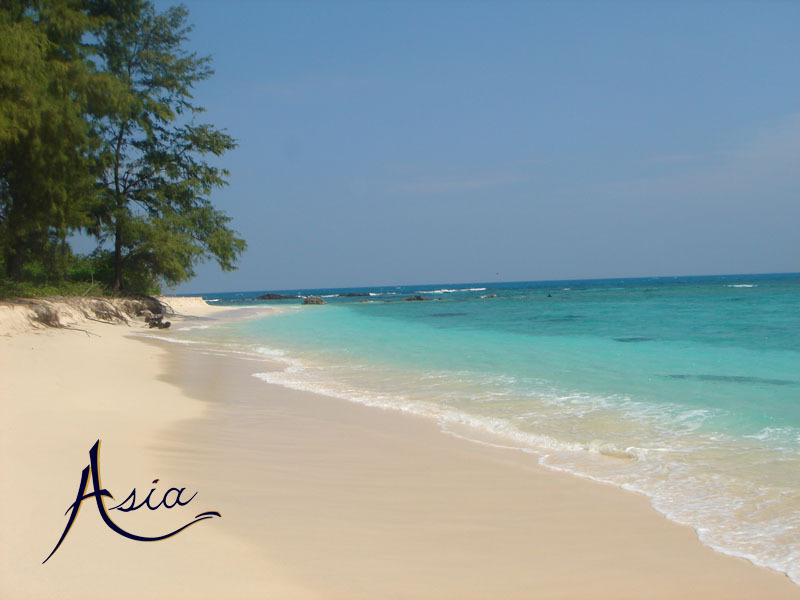 Another is our honeymoon experience in the Andaman and Nicobar Islands. We married on 10 December 2004 and travelled to the Andamans 2 days later. We were due to leave on 26 December. Yes, 26 December 2004. We were incredibly protected that day, but we did experience a combination of PTSD and guilt in being part of such an immense disaster. This is a shortened account of our experience of 26 December, 2004. We were sitting in the departure lounge of Kathmandu airport on 12 December 2004, waiting for our flight to Calcutta for our honeymoon trip to the Andaman Islands. J caught sight of an elderly Ringpoche who was also sitting waiting and went over and gave his respects to him, and asked him about his visit to Calcutta. Chatral Rinpoche is a very senior, reclusive and fairly outspoken Rinpoche who has shunned institutional and political involvement his whole life, choosing instead to live the life of a wandering yogi. To this day, despite his great age, he continues to move about, rarely remaining in one place for more than a few months. He is especially well known for his advocacy of vegetarianism and his yearly practice of ransoming the lives of thousands of animals in India. Chatral Rinpoche also stresses the practice of retreat and has established numerous retreat centers throughout the Himalayas, including in Pharping, Yolmo, and Darjeeling. He was travelling from the retreat in Pharping, near Kathmandu on that day. J’s family are very strong followers of the Buddhist faith and to meet such a senior Rinpoche was a special honour and highly auspicous. Exactly two weeks later, on 26 December we were in Port Blair, the capital of the Andaman Islands, on our final day there. We had spent two positively idyllic weeks on two islands – Havelock and Neil Islands snorkelling, lazing and really enjoying this magical place. We had returned to Port Blair on Christmas Eve, to spend Christmas day and our plan had been to travel back to Calcutta and onto Delhi on Boxing day for the final week of our honeymoon in northern India spotting tigers. I was woken by the first gentle tremors of the just before 6.30 am. I felt an oddly soothing rocking of the bed and instantly wondered if it was possibly a tremor or whether hubby J was having some action packed Bollywood type dream! Was hubby causing the bed to rock, or was the bed causing hubby to rock? I very quickly realised it was an earthquake when as well as the bed, the wardrobe and mirrors started shaking and the tremors quickly got much stronger, seeming to gather speed. I woke hubby J from his action packed dream, and we rushed out of the room. I grabbed two strange essentials in automatic pilot – my glasses and my plastic sandals. My earthquake fear had meant that I was prepared and instantly made a judgement about where to take cover. Having selected my glasses, I could see from the way the building was behaving, that we were safer not trying to leave the building. We sheltered in the corridor while the quake was at its worst. We could hardly stand, and it felt as if the hotel had turned to rubber. The noise of the earth and building moving was the strangest, most difficult noise to describe – a sort of grinding, roaring noise. Everything was moving, and the other guests were rushing downstairs (we were on the second floor). Glass, light fittings and other debris were smashing down all around, particularly in the stairwell. My cheap plastic slippers protected my feet from the glass scattered everywhere. The tremor was so strong that we could hardly stand. Once the shaking subsided we returned quickly to the room, grabbed a couple of essentials including the nearest clothing and the small handbag with passports and made our way gingerly down the stairs which were littered with debris. We were very fortunate not to be cut or hurt apart form a few bruises when we were thrown against the wall. Outside we saw the extent of the damage. Our new, carefully built hotel was badly damaged with large cracks everywhere. The lift shaft added onto the front of the building had become separated from the main building and had probably provided some stability to the overall structure of the hotel. If the building hadn’t been so well constructed our place of shelter could have been our death trap. We waited and waited outside in the clothes we had slept in with all other guests also mostly in night clothes and shocked. The owner of the hotel soon arrived and carried out a head count to make sure that all guests were accounted for. Christmas is the peak season and the hotel was full. At that stage, we had no idea that the earthquake was so significant and believed it was a local, though very powerful earthquake. We were to remain outside, for a few hours, as snippets of information slowly found their way to our ears, in bits and pieces. The phone system was down but some people had picked up information from radio sources. We had no direct way of finding anything out and for us there was an almost complete communication blackout, save these odd snippets. We heard that the jetty was destroyed and cars and bikes were in the sea, it was more than 8 on the Richter scale, Indonesia was also affected, maybe west Bengal too, that a ship travelling from Tamil Nadu had capsized. All vague and uncorroborated. I had an awareness of the possibility of a tsunami and kept looking out towards the sea from our vantage point. Port Blair is on a hilly area and we were on a road fairly high above Phoenix Bay. Hubby had never heard of a tsunami and when I asked him why he was looking to the sky, he said that he was looking for the arrival of the Japanese rescue helicopter mission I was talking about. Soon after the earthquake, I don’t know exactly when as time kind of stood still that morning, we heard people saying “the water’s coming , the water’s coming up”. I still don’t know for sure if the water had already come up at that point, or if it was seen approaching as the snippets were coming in Hindi and Bengali. I think it had probably already risen. Port Blair town was sheltered from much of the anger of the tsunami by the southerly islands which absorbed the full brunt of its force and when it reached us it was more like a rapid flooding than a large wave, as if the ocean was tilting, one way then the other. We were spared the horror of its brute strength purely by being in the right place at the wrong time. The morning passed in a surreal daze. I felt an urgent need for information – but knew there was absolutely no way I could find anything out.. There were further tremors, some pretty strong, but we were outside and felt safe away from buildings. It was sometimes hard to tell if there was another tremor right away as we both felt a strange sensation of dizziness periodically. We loitered in the street, sometimes sitting on the seats which the hotel owner had brought for us, then leaving them hurriedly when another tremor came, sometimes wandering down the street. Sitting on neighbour’s steps further down the street, still in our night clothes, I finally, in increasing discomfort, had to ask the neighbour if I could use their bathroom at one point, and she very warmly welcomed me into her house. “Please don’t look at the mess”, she said. On the outside, the beautiful Andamanese wooden house looked untouched. Inside, however, was a very different story. The beautiful house was wrecked inside – the large aquarium was in the middle of the floor, smashed, surrounded by dead fish, rocks and underwater plants, furniture had fallen over, picture, ornaments, books lying all over the floor. In the bathroom I saw that the toilet was full of what looked like mud – then I realised the seriousness of the situation facing the islands. The plumbing system had been completely destroyed – pipes crushed and the sewerage system ruined. Even the taps refused to produce anything but a trickle of mud. We were clearly a burden on this island – clean water was desperately needed for the Andamanese and not for us outsiders. This wonderful woman made tea for us and chatted as we sat on her steps waiting for something, not sure what. We continued our wait outside the hotel, naively aware that our flight time was approaching and not knowing if flights would still be operating. Slowly the hotel owner found places to stay for those guests who still had time in the Andamans. Gradually we were reunited with most of our belongings (the hotel was too damaged to let us back in, so things were slowly recouped for us). We packed our bags in the street, but had no place to change so headed to the airport still in our night clothes. On our way to the airport we passed Jungli Ghat which was inundated and damaged, and people standing around dazed. We heard people saying that some people had died in Port Blair – no one knew whether the earthquake or the water had caused their deaths, all was so uncertain. On arrival at the airport, many people were outside on the grass. We had to wait outside as no one was allowed in the airport building so we waited and waited for news of flights. Gradually we learned that the runway had been damaged at one end. No one knew what would happen. It was impossible for the large planes which usually fly to Port Blair to land so eventually all flights were cancelled. A large queue formed beside the Air India window as people tried to get their tickets altered. Jet Air passengers were reallocated seats and accommodation found for them and they gradually left the airport. Nothing was going to happen quickly, that was sure, so hubby left to try and phone again, and to get something to eat. 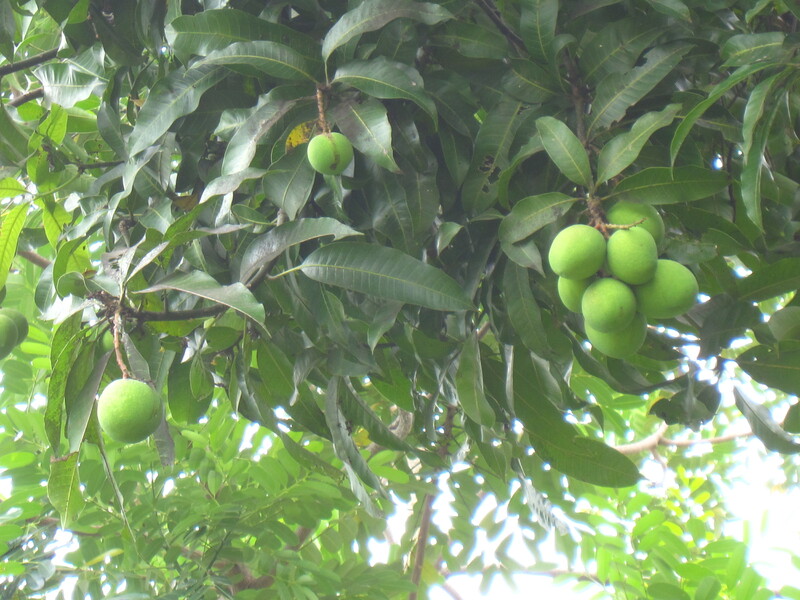 He brought back some mung beans, crisps and pineapple juice which we consumed with disinterest and mechanically – neither of us were hungry but our bodies told us we had to feed ourselves. The afternoon progressed and I waited patiently and politely at the end of the Air India queue as the queue in front of me grew and grew and people gradually left as their tickets were endorsed in some way for later travel. Finally, we were told that the Indian government would put on one relief flight later that day as they recognised that that they had to start lifting people out. An empty, smaller plane would be flown in, and would be able to land on the shorter length of available runway. We were extremely fortunate to be on that first airlift, and it was purely down to chance, and probably British queuing style. We had a connection in Calcutta for Delhi which we knew would have long departed so asked about that. Due to the emergency situation there would be no problem with our tickets – but we were told that our luggage might not go on the flight with us. As part of the runway was disabled, the plane would not be able to carry all passenger luggage so it could lift abruptly before the damaged part. The priority was to evacuate people and bags could follow later. Everything except the one check in desk was eerily deserted in the airport. Shops, phone booths and even the immigration desk for foreigners was empty. This caused a difficulty for me as the lone foreigner on the flight. Immigration officials had been released when the flights were cancelled and I had to surrender my permit and have my passport endorsed before I would be able to leave the Andamans. As the rest of the passengers filed through to the departure area, we were left sitting there until we were almost alone. Cracks were everywhere in the building – supporting walls separated from adjoining walls with gaps of a several inches. A TV was playing in the corner, showing a cricket match, bizarrely. We heard the aircraft arrive – safely clearing the damage on the runway. We were on the point of being lifted out of the emergency situation, but we couldn’t stop thinking of those we had befriended on the islands not knowing how they had been affected. In particular the warm people on Neil Island where we had extended our stay. Finally a lone official arrived who was allowed to carry out the exit formalities, he took my permit, and stamped my passport “Andaman and Nicobar Islands, Port Blair – departure 26 December 2004”. We joined our fellow passengers in the departure area, all exchanging our stories, a motley crew of travellers, some with injuries from the earthquake and most in various states of dress (we weren’t alone there). Finally we boarded our flight as daylight was fading – mirroring our abrupt start to the day as the first light was seeping into our room when the quake came. After our idyllic holiday our departure from the Andamans felt strangely one of relief. The departure was frightening because we knew that the pilot had to calculate precisely how heavy the plane could be and where exactly to take off – a minuscule error could be disastrous, and there was enormous relief when we took off sharply away from the damaged earth behind us. Our pilot must have been carefully chosen for this job, not just for his wonderful skill in guiding the aircraft in and out of Port Blair, but also for his gentle, caring attitude which came across during his in-flight announcement. He told us to relax, that he and his crew would look after us and take us safely to Calcutta after our ordeal. We didn’t even realise that there had been an ordeal I don’t think at that stage. We did realise we were pretty hungry too and hubby asked the cabin crew if there was any extra food (we had eaten only those crisps and mung beans all day) and they happily gave us extra portions, seemingly having thought of this already. We flew towards Calcutta, the sun staying just on the horizon on our western side as we travelled northwards, and the full moon lighting up the sky on our eastern sky, another strange mirror that day. I remember little of that flight but do remember feeling cold when we arrived in Calcutta, in my short trousers and night shirt. When we had packed in the street at least we had been able to recover our Kathmandu winter jackets so must have looked really strange – but we didn’t care or realise at the time. We waited at the luggage carousel – and were reunited with our bags for the second time that day. We were among a few lucky ones, I think we travelled a lot lighter than many of our fellow travellers. At the baggage carousel there was a lot of interest in us – “what is the situation like in Port Blair – there is no news, what has happened?”. I started to realise how cut off we had been and that the world didn’t know how the Andamans had been affected. I was desperately anxious to call our families, just in case they had heard anything in the news about the earthquake. We had phoned home on Christmas day to send seasonal wishes, and to gloat about our good fortune spending Christmas in such a wonderful setting, particularly when Scotland had seen blizzards and Christmas dinner had to be postponed as not everyone could make it. So they knew exactly where we were. It appeared that the rescheduled Christmas dinner was again heading for cancellation as the news of the earthquake was the news which Scotland woke to on Boxing day. It was then we really learned the enormity of the disaster. It was then that slowly news of the tsunami and its devastation across south Asia was appearing. Our telephone calls were very emotional and shocking. Our loved ones had been through hell and unable to get any information, partly due to official lines being overloaded, but also because there was no communication with the Andamans and no news. We had been posted missing with the British Embassy consular officials in Delhi. My mother in law had collapsed, fearing a double cruel blow in a few months as she had only recently been widowed . Our ordeal was nothing in comparison to what our families and friends went through. We were put on the last flight to Delhi that night, and at 10 pm were finally called to the departure lounge. Here there was a TV in the corner and BBC world was broadcasting. 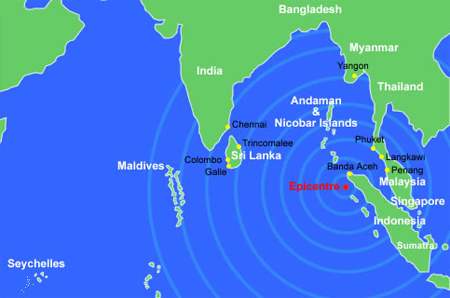 I stood in sheer horror and disbelief, oblivious to the tears rolling down my face, as I listened to the ashen faced newscaster recounting the emerging devastation of the tsunami, seeing the map with Andamans right in the midst of the disaster. I was totally unable to comprehend this massive tragedy. I was completely unable to grasp the fact that I had been right in the very place which was so prominent on the world stage. We flew late that night onto Delhi in a complete daze and decided to drive down to Agra where we collapsed in a freezing hotel room in the early hours of the morning, and finally slept for most of the day. We decided not to go tiger spotting in Bandavhgargh as we had originally planned as it seemed a bit irresponsible to risk being eaten by tigers after being blessed with protection in the Andamans. Instead we headed to Rajasthan after Agra and spent a very quiet New Year counting our blessings and thinking of those so less fortunate than us. We returned to Kathmandu with, I have to say, an altered perspective on life. I had nightmares for a long time, occasionally still having one. I used to wake in a panic, convinced that I could feel the bed rocking again. Sometimes there would be a reason, such as a lorry trundling past in the street causing buildings in the street to shudder, sometimes hubby stirring in his own nightmare, and sometimes it is just the pounding of my heart as I try instantly to assess if it is a tremor. I am fortunate – at least I wake up. I cannot ignore the coincidence of meeting Chatral Rinpoche in the departure lounge and what he said. When hubby asked him about his journey we were struck by what he told us. He said that something terrible was going to happen and many people would die. With the conflict in Nepal this did not strike us as particularly unexpected. He told hubby that he was going to the Gaya Ganga fish market near Calcutta where he would buy fish and release them back into Ganga holy river, which goes to the bay of Bengal and of course Andaman islands, from its origin in Kashmir. He said that releasing the fish and blessing them would save some lives. We gave him a donation and asked him to get more fish and release them and maybe more lives would be protected. Chatral Rinpoche thanked us and told us that he would release fish in our name for the long life of others. 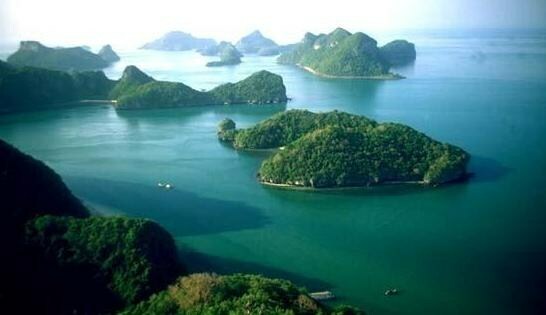 It seems too great a coincidence that our lives were somehow protected in the Andamans on 26 December. When we married seven years ago today we had no idea of the challenges ahead of us. We have certainly been tested. We certainly did not sign up for the tsunami, nor the cancer club. But these things did happen, and sitting here today in peaceful, tropical surroundings it feels almost surreal to reflect back and accept and acknowledge what has happened. And most of all to appreciate and value how fortunate am I to have been protected, looked after and cared for by hubby during these times.